Since the early 1990s, the supremely tranquil Quinta do Noval has been under the careful ownership of AXA (the French Insurance conglomerate with a propensity for owning wine estates, Ch. Pichon Baron and Ch. Suduiraut among them) and the assiduous management of the ever-dapper Englishman, Christian Seely. Any release from Quinta do Noval is worthy of high respect, and all the more as 2015 was within a whisker of being a generally ‘declared’ vintage. 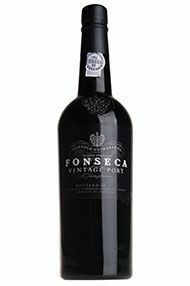 They have here always followed a path of releasing a Vintage if the quality is there, which it undoubtedly is, regardless of the general trend among the other Port shippers. 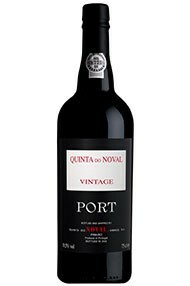 "This is a very fine Vintage Port from Noval; they have crafted themselves an enviable position as one of the finest makers of beautifully finessed, stylish wines that will grace any cellar and make very rewarding drinking over the decades to come. The quality in the 2015 vintage is undeniably very high and immediately apparent on tasting. Typically dense, yet with elegance as only to be expected from a fine Noval. Dense, dark fruits, nicely concentrated with a whiff of cinnamon that keeps it nimble; the finish is long and reassuringly elegant. Noval always has a touch of French élan about it. Drinking perhaps 2028 and well into the late 2030s." 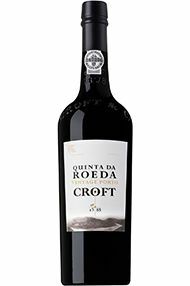 A ‘quinta’ can be anything from a humble small-holding to, as is the case here, a stately estate set in some of the finest Douro country. The renowned Quinta de Vargellas, sporting its own railway station, comprises Grade A vineyards which are the central core of a Vintage Taylor’s Port. 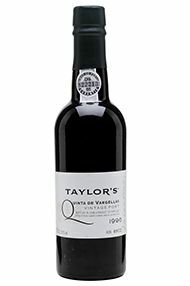 In a vintage, such as 2015 where they have not declared Taylor’s itself then a Vargellas ‘Single Quinta” is made and released. Made in exactly the same way as a Vintage wine, Taylor’s Quinta de Vargellas is wholeheartedly worth looking out for and all the more so in a vintage that was so close to being universally declared. Older, mature Vargellas Ports never disappoint, as a fine ’67 proved only the other day. Inky deep, rich and expressive, this 2015 Quinta de Vargellas opens with aromas of damson, cloves, chocolate coated plums and flicks of spiced violets. A developing freshness comes through from underneath, bringing with it a core of muddled forest fruit. Beautifully balanced, generously ripe tannins caress the gorgeous palate which reveals flavours of black forest gateaux, blueberry and hints of red liquorice. Powerful and concentrated across the mid-palate, the alcohol is well-integrated and a graphite-like acidity holds this together, complementing the core of fresh red fruit at its centre. Laced with blackberries, plums and sweet spices across a silky texture, this has masses of intensity and finishes long and rewarding. A delight to taste in its youth but forget about it for a good while, recommended drinking from 2028 – 2060. Sensational! Intense dark berry-fruit on the nose, hints of spiced fruit cake and Italian Amaro adding to the complexity. Very concentrated in the mouth at this stage, oodles of ripe black fruit, that wonderful spiciness again coupled with sweet liquorice, all interwoven with pin-point acidity and the finest and ripest of tannins. That’s going to wonderful from around its tenth birthday, but will age for decades I suspect. Long, fine and deep on the finish, bravo David! The 2015 packs quite a punch. They’ve really got the measure of the superb Vesuvio vineyards since taking the quinta on in the 1990s. One the very few Douro wines to be genuinely foot-trod, the 2015 has initially on tasting a supreme richness and concentration yet there’s an elegance of touch too. Gorgeous fruit and power from rounded tannins will see this develop into a very fine Port. Vesuvio is assuredly reaching the heights of quality its wonderful vineyards command.